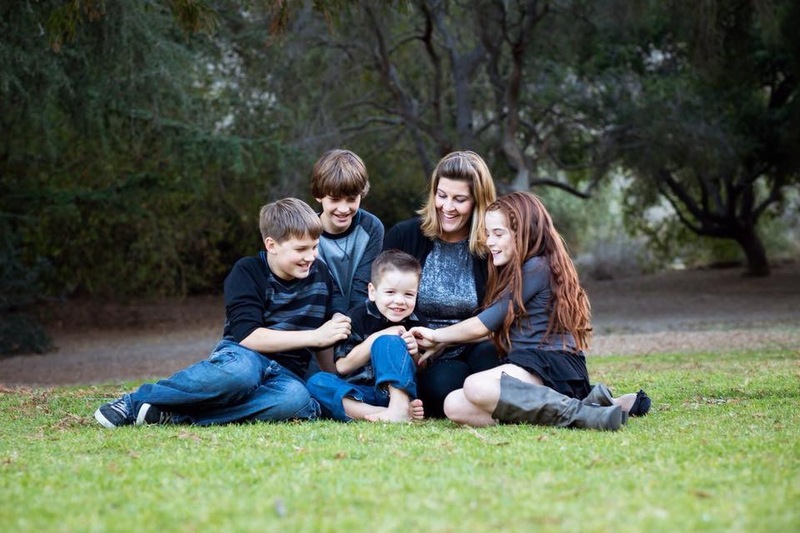 Rebecca was diagnosed with breast cancer when she was 11 weeks pregnant with her 4th child. She received 8 weeks of chemotherapy after a right sided mastectomy. The baby, Ezekiel, was born healthy and then Rebecca received 7 more weeks of chemotherapy and more radiation. Approximately 3 years later her cancer came back but this time it was in her bones. She continued to fight and received more chemotherapy and radiation. Several months ago, the cancer became more and more aggressive despite any medications the doctors tried. It converted to triple negative which was the exact thing we didn’t want to happen. It spread throughout her bones, her liver, and lungs. 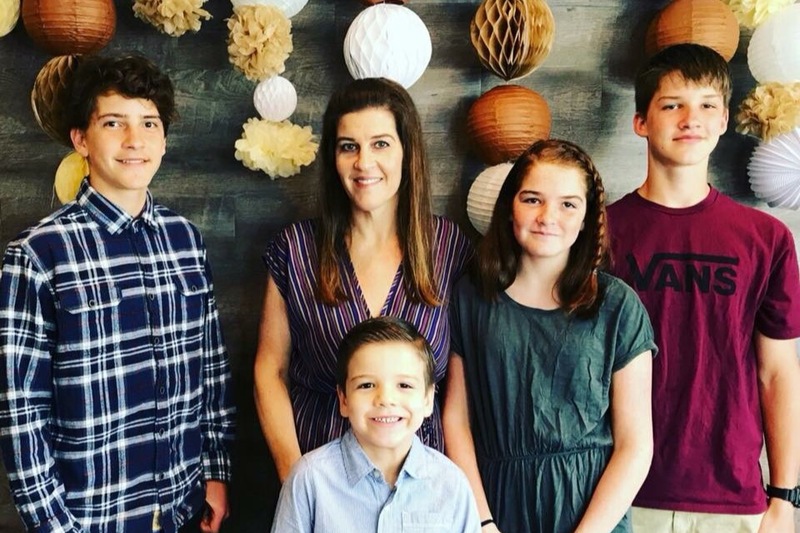 Rebecca told her oncologist that she wanted to fight for every day or week she could in order to spend more time with her beautiful children. And... boy has she fought. My beautiful sister, Rebecca passed away on Friday night. She fought hard, lost her battle, but ultimately won a place in Heaven. She is in the arms of our Jesus now. Rebecca was surrounded by her family and 3 of her 4 precious children as she made her way to Heaven. This fund will help us give the children a small amount towards college, a dream of my sisters. Thank you to all the kind souls that are thinking of us, praying for us and donating towards Ephraim 14, Tobias 13, Daphne 11, and Ezekiel 5. We love you! In honor of our precious Rebecca, we will have a Memorial service on Friday, September 28th, 4pm at Ventura Missionary Church. There will be a reception immediately following so we can share our love for her. We invite all our dear friends to join us as we celebrate her life. As for an update on my beautiful, brave sister... she is in the hospital now. We don’t believe she will be coming home this time. It’s been an incredibly emotionally taxing time on her, her kids, and our whole family. She’s not really answering her phone/texts because her hearts desire is to spend her time and the little energy she has with her precious 4 children. If you’d like, you can send or drop cards off at our parents or any of our homes for Rebecca. We’ll make sure to bring them to her. I cant even express how amazing everyone has been. People have been making meals, sending water and snacks to the hospital for us, and sending messages of love and encouragement to all of us. We are so grateful to all of you. Laura is updating the mealtrain as it is a huge help to my mom & dad. We are spending most of our time at the hospital and it’s so nice for my mom to know dinner is coming. It’s one less thing for her to worry about..making sure Becc’s kids have something yummy to eat after spending precious time with their mommy. Please continue to to pray for Gods will, which is not always the same as ours. Pray for strength for all of us but especially the kids. They are being so brave! Pray for my mom & dad, my siblings, but most of all please pray for my amazing sister, Rebecca. Pray she does not suffer and remember to thank Jesus for dying on the cross for us so that we all get to go be with him eternally. We we love you all and thank God for placing each one of you in our lives. We feel so blessed, because of all of you. My sister, Rebecca has become a lot sicker and we, as a family are really struggling. Many of you have reached out in love to help us. We are adding more dates to the meal train as this is an incredible help to mom, dad, and Rebecca's kids as we are at the hospital most of the day loving on Rebecca. She's not answering her phone or texts any more and we're hoping that if you'd like to send messages of love or prayers that you can mail or drop them by on a card to my moms house so we can read them to Rebecca. She has requested no visitors except family at the hospital as she wants to save the little energy she has to spend it with her precious children. We love each of you so much and can't express how grateful we are for the love and support that you've shown us. God is good and we are all faithful believers. This is giving us all a little peace in this terrible time. Again...thank you so much for continuing to love on my family.